I have a habit of pinning all kinds of wonderful sounding and looking recipes on Pinterest and then never finding the time to try them. But this weekend I finally managed to make one of the many recipes I’d pinned. 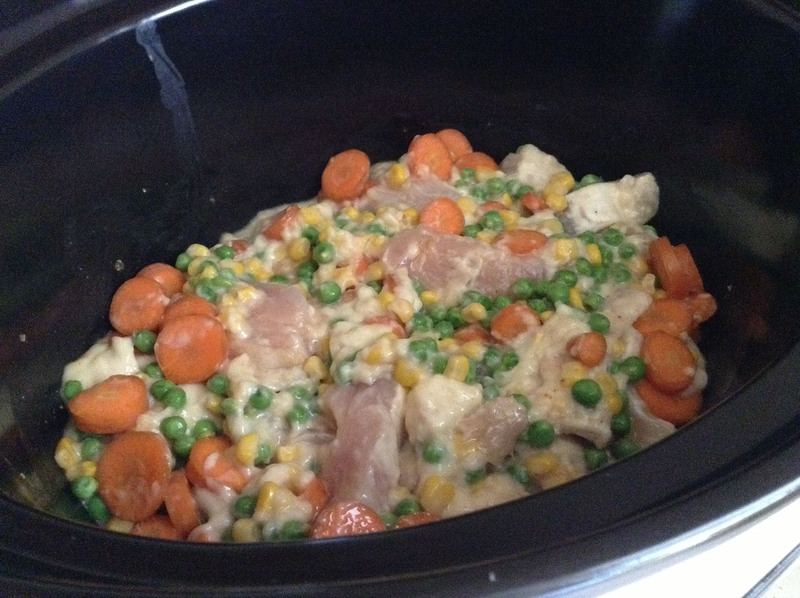 I was looking for an easy supper recipe and decided to try a slow cooker chicken dinner. It turned out great! The boyfriend was impressed. So I’ve decided to share the recipe and a couple of photos. Enjoy! 1 bag of frozen vegetables such as peas, corn and carrot. I used fresh carrots and canned corn. Place all the ingredients in the slow cooker and mix. Set the slow cooker to low. Cook for three to four hours on low or until chicken is fully cooked. Serve over cooked rice. All the ingredients in the slow cooker ready to go. The final product! Looks good. And for the record, this pile of food was not my plate! Slow cookers are awesome. 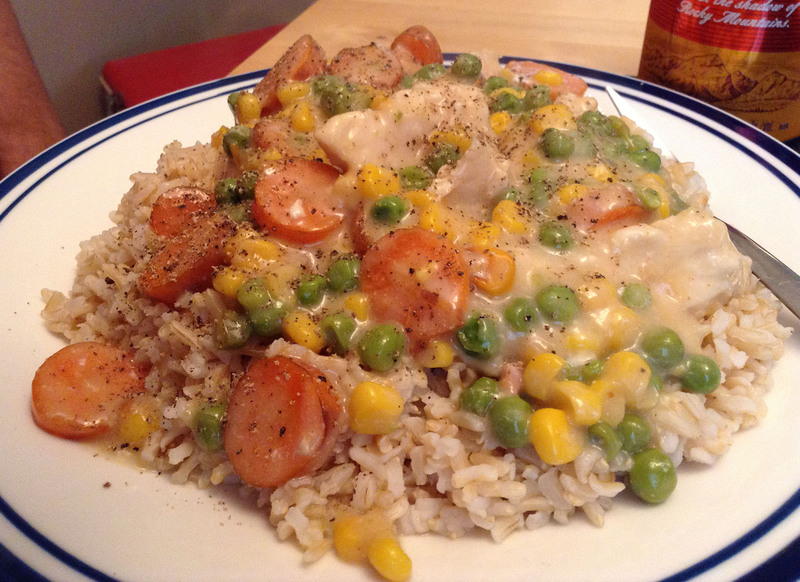 Thanks for sharing the recipe, I never would of thought of having it on rice. I agree. Slow cookers are great. Thanks for reading! The past two months reminded me how much I love working in agriculture. June and July were very busy with meetings, events and tours including a Proven Seed team meeting in BC, Farm Progress Show in Regina, CanolaPalooza events in both Saskatoon and Lacombe, five innovation tours for our staff across the Prairies, a Manitoba customer tour, two Nutrien Learning Days where we educate our city colleagues from Saskatoon and Calgary about modern Ag, and Ag in Motion at Langham, SK which included our ON Point event where we hosted app 600 customers and staff in Saskatoon. Among all this we officially rebranded on July 1 - Crop Production Services is now Nutrien Ag Solutions. Throw in volunteering with my new committee during the Calgary Stampede and trying to sell my condo. But I thrive on being busy. My work and volunteering give me purpose. Do what you love. There’s nothing like beautiful flowers to brighten your day! These flowers were grown by my friend @jd.lynn on her farm near Calgary. Jess and her sister sell beautiful flower arrangements through their business @thefieldandcanvas Always happy to support friends! One mason jar arrangement cheered up my friend Heather who just had surgery.